Sometimes I get this feeling It’s kind of hard to try and explain but it’s like this! You decide on a venue to fish. You consult the tide book for the optimum time to fish. 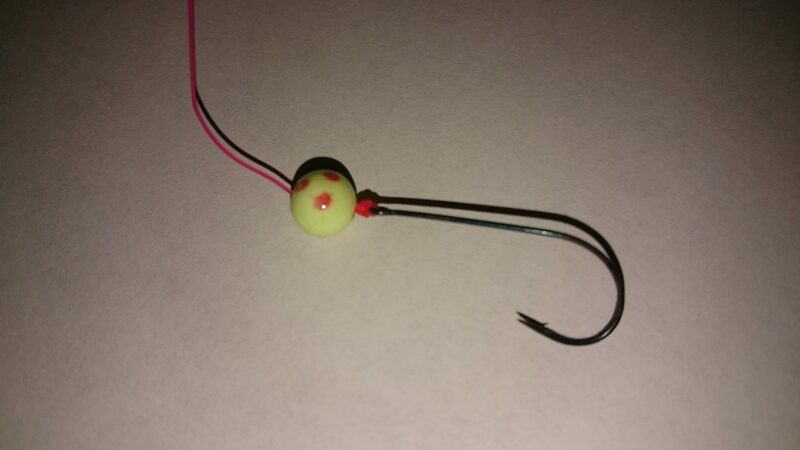 You acquire the bait you need for your session. Everything is in place then right at the last minute, a little nagging feeling tells you the fishing might be better elsewhere! 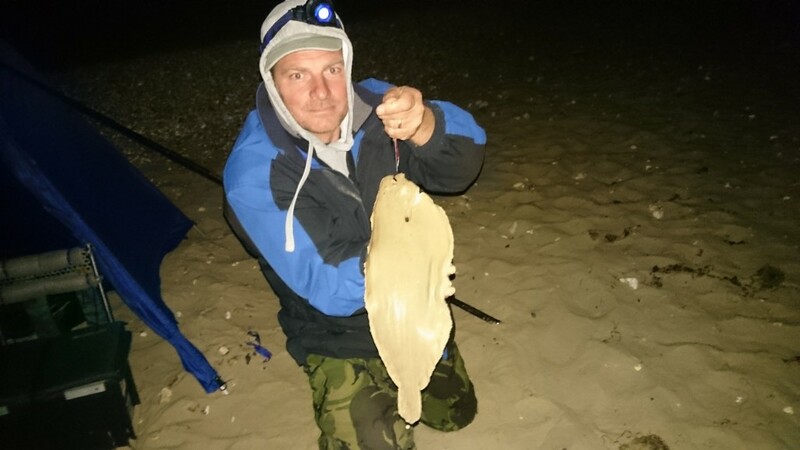 This is why my mate Martin and I found ourselves at Southbourne all ready to fish rather than Sandbanks where we planned to go on the back of my modest success last weekend. So the stage was set, starting at 7pm at the end of the promenade loaded with rag, lug and frozen makrel. Three rods fished with one at distance baited with makrel on a penned rig for rays. One at distance with a single clipped down worm looking for flatties, and one close in with double hook paternoster for fishing the galley at the end of the groine. Different venue same bait but should I have listened to the little voice in my head? So we cast out bang on 7 pm and for the first two hours baits came back untouched. “Great” I thought! So much for my fishy sixth sense! Rebating every 15 minutes we sat fishless until 11.30pm and suddenly it was like someone flicked a switch and our rods started rattling with flatfish bites. I reeled in the distance rod with worm first and felt no tugging but a definite weight on the end. The result was the best sole I have caught for nearly thirty years! 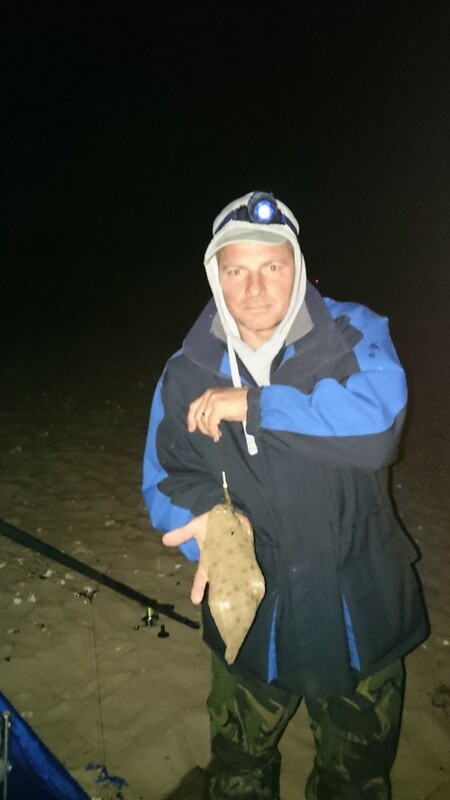 I didn’t weigh it but it was by far the biggest sole I have ever caught at Southbourne! Next up was Martin as two minutes later on his distance rod he had a slip sole. Five minutes later I had another smaller sole close in. Then that was it it the fishing died! It seems strange that all the fish came in a small window of time and state of the tide, after such a long period of time with nothing. It may have just been coincidence but on returning home I checked my little black book. The window that we caught those sole was two and a half hours after slack water at high tide. In a session I had at Southbourne last month I had started getting fish an two and a half hours after slack water at low tide. Now nothing in fishing is set in stone, but next time I go fishing at Southbourne I will definitely have good baits ready two to three hours after slack water as it seems like this may be the optimum time to fish there on the bigger tides! Oh and I shall continue to listen to the voice in my head! Sandbanks will still produce fish, though if you want numbers or species I would head to Southbourne. Plaice are still being caught in the harbour, though the better fish are coming from the bigger tides. I will be off on a squid trip soon, as we are now coming into squid season and I will be reporting on my trip with all the tactics and tips. 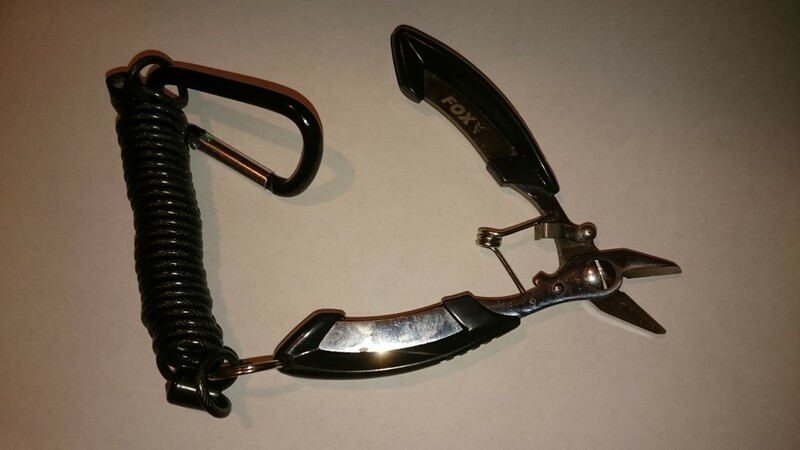 After years of using nail clippers, scissors and even my filleting knife for all my line cutting while fishing, I recently decided enough was enough and purchased a set of Fox saw tooth cutters. It is claimed they will cut through mono, braid,wire and braided strand wire. I can confirm the mono and was sceptical about the braid but yes they cut easily through 30lb braid. I wanted a set of snips that don’t fall to pieces like nail clippers and flex all over the place like scissors when cutting heavier mono,and so far these Fox cutters seem to fit the bill. 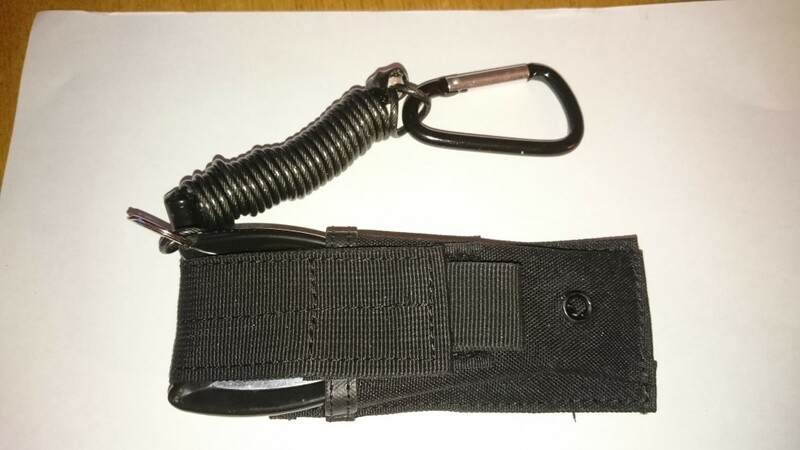 I got mine from Poindexters in Southampton and at home I enlarged the hole in the end of the handle and fitted a large split ring with a springy lanyard and carabiner to clip to my belt. That way they are always to hand. I also got a small belt pouch off the Internet so I didn’t need to put them in my pocket. So far I have used them in the last few sessions and they’ve been fantastic! They have cut through 6lb to 100lb mono and all the braid I have used. They are of stainless construction so rust yet! 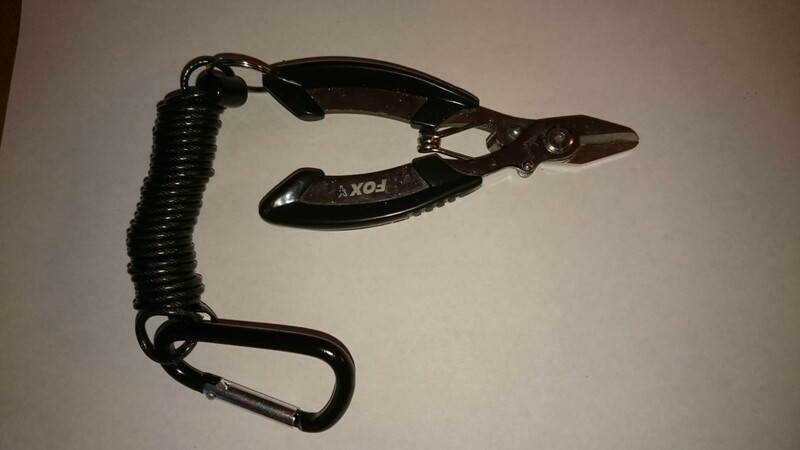 For a robust handy set of cutters that cut through nearly anything you use in a fishing session I would recommend these cutters. Granted they haven’t had the test of time yet but I will be reporting in the near future with an update of how they have lived up to being used and abused. With all the fishing we have at the moment, we are being spoilt for choice, but get in quick as I am running out of slots for evening guides in the local area.